One of the first things I anticipate each fall season are the aromas around the house. Whether it’s baking cinnamon rolls, crock potting meals like soups and roasts or attempting something homemade like apple pie. I LOVE the scents of autumn. 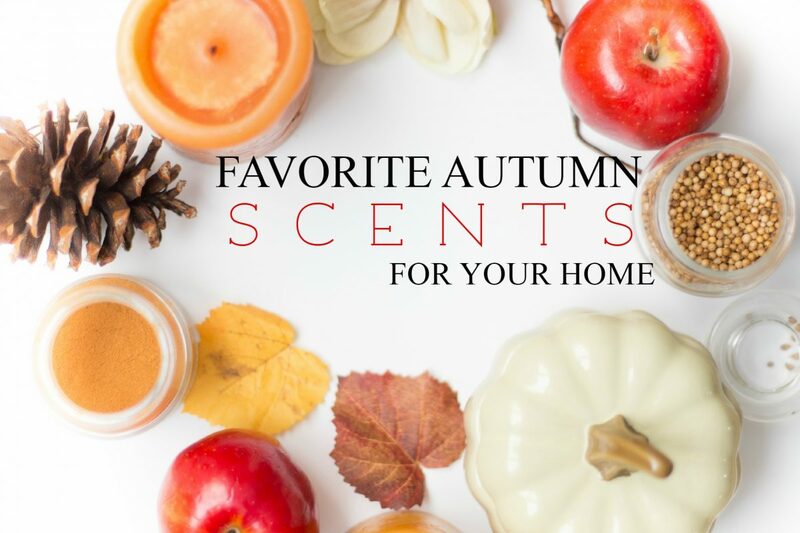 Here are a few of my favorite scents for my home or “smell goods” as my daughter would say, that make our home a warm and inviting place to be during the fall! Yes. What they said:0) I don’t know what it is ladies but it smells SOOOOO good and I love that it’s available all year around! Perfect for the fall but I’ve been using it since last year non stop! My other go to scent is My Home by Scentsy. I love using wax melters like Scensty for long lasting, smoke free burning. This might be our homes signature scent. It’s the perfect aroma to have when your’re having a party because it lasts all night. From the moment our guests arrive to the wee hours of the night, it hold up so well. The scent can be described as cinnamon and a bit of floral as well. *Now listen up! Scentsy discontinued My Home and said that the SAME scent is now called Welcome Home. I have yet to compare the two but once I do I will let you know if it is indeed the SAME! This is an expensive option for those of you on a budget and like to pick up all your home needs at one store:0) This is a pleasant smell and makes the house smell just like cider! Walmart sells it in a jar and also in small and large single candles. Ohhhhh Leaves. How I love thee. What an amazing scent you are. Bath and Body works says this rich blend of golden nectar, red apple and spiced berries is the perfect scent to welcome in autumn. I couldn’t agree more. This one is just another winner for me when it comes to fall. Seriously I get chilly just thinking about it! You can start your own love affair here. 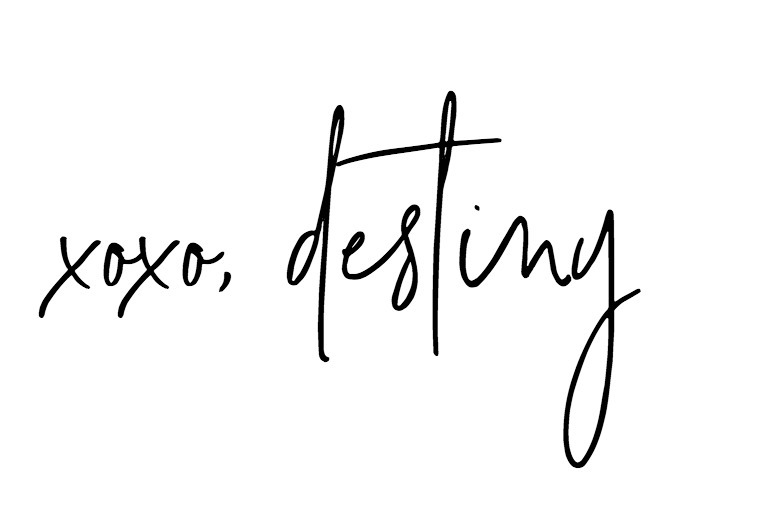 My other favorites are listed below! I hope you like them as well! It would make us scent sisters, right? ha! 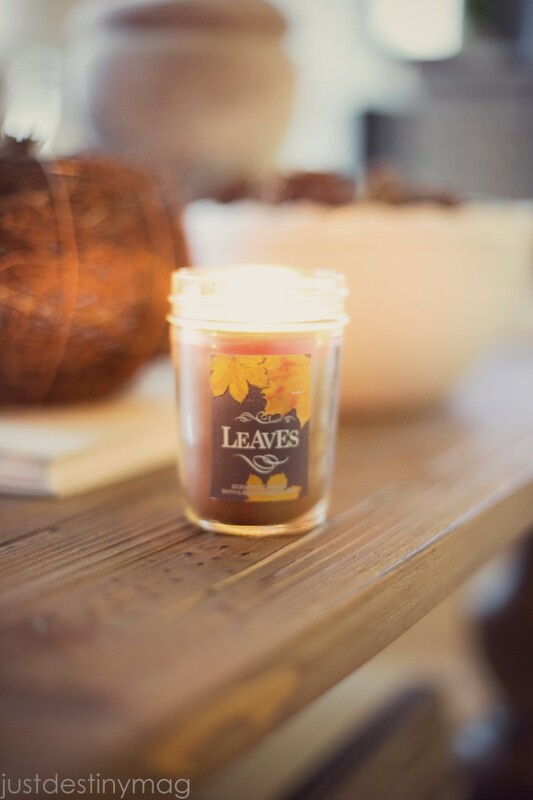 So what are your favorite scents for the fall season?! I would love to know! 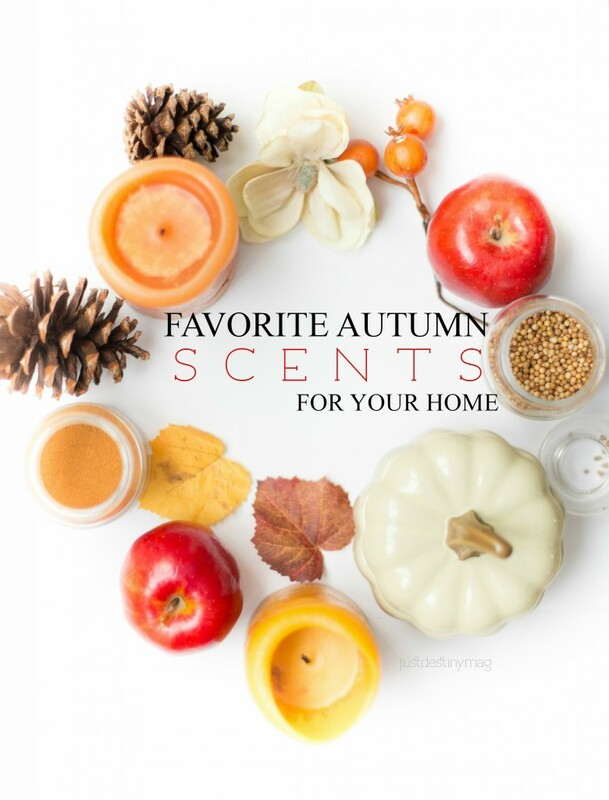 I love Fall scents! Pumpkin anything is my go too! You gotta try Pumpkin Marshmallow then! Destiny, I love your ceramic pumpkin for your scents! Gotta get me one! I love the fall candles too, especially pumpkin! Thank you! I love it to. It’s so cute! I recently went to the store to find a new Fall scent to try in my warmer and picked Cashmere Woods. It is now my favorite scent! Awwww!! !Im so happy you like it! It’s fabulous right?! 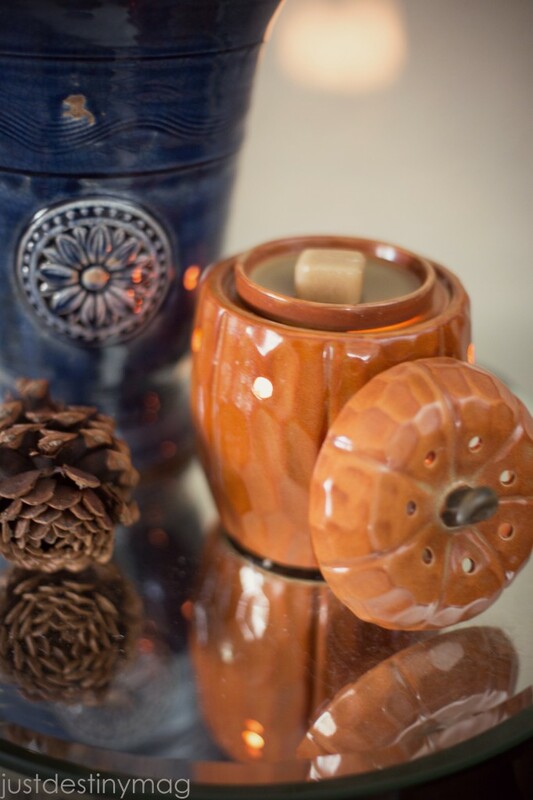 I fell in love with Autumn Walk, by Gold Canyon Candle, years ago. It smells amazing!